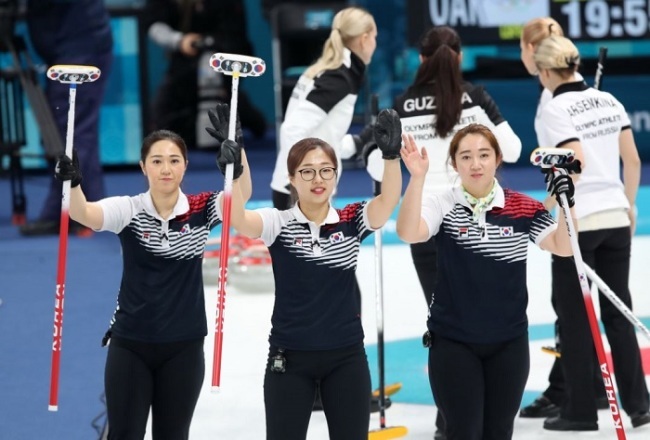 GANGNEUNG, South Korea -- The South Korean female curling team clinched first place in round robin on Wednesday with a win over the Olympic Athletes from Russia at the PyeongChang Winter Olympics. The home team won for the sixth straight time as it defeated the OAR 11-2. South Korea, with seven wins and just one loss so far, had already qualified to move on to the semifinal as of Tuesday. South Korea will wrap up the round robin session against Denmark later Wednesday. It is the first time that South Korea has advanced to the semifinals in curling at the Olympics. 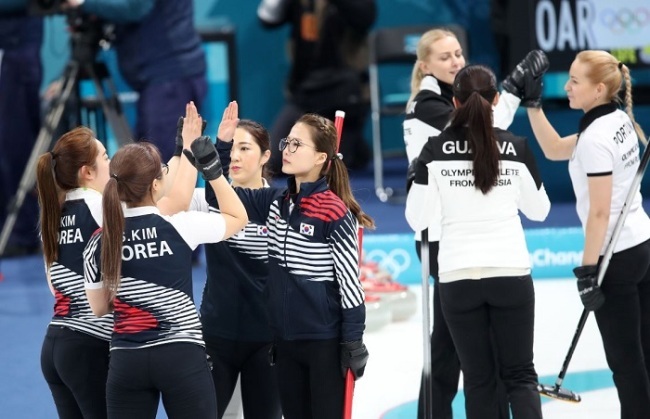 In the first end of the match, the four-member South Korean team outperformed its rival by posting a whopping three points. By the end of the third end, South Korea was already moving far ahead of the OAR, with the score at 9-0. The OAR managed to score one point in the fourth end, but South Korea responded with two more points in the following end, expanding the gap to 11-1. In the sixth end, the athletes from Russia earned one more point, but eventually gave up the game.